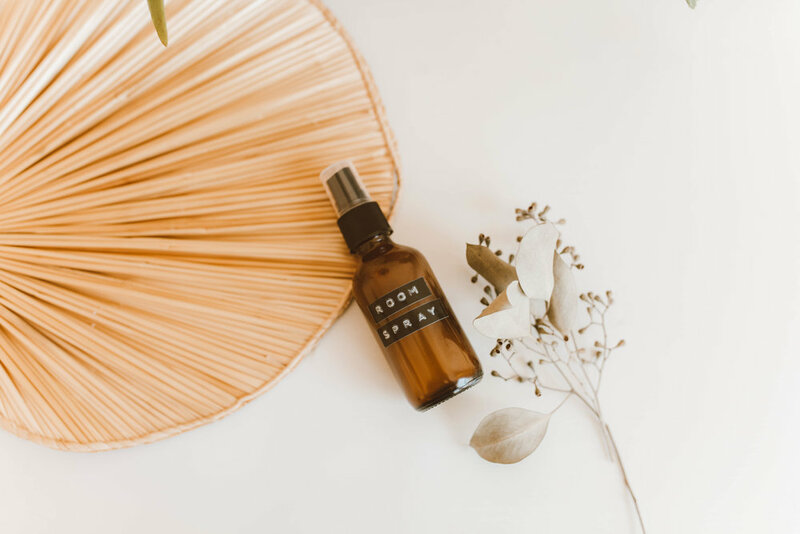 Let’s talk about room spray! 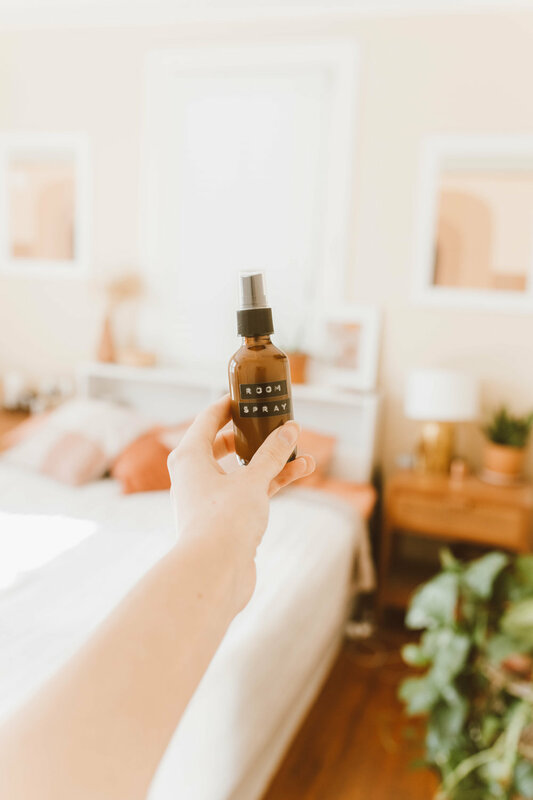 I love my house to smell good (which is why I have diffusers in practically every room) but sometimes you just need a quick refresh - which is why I made this room spray. 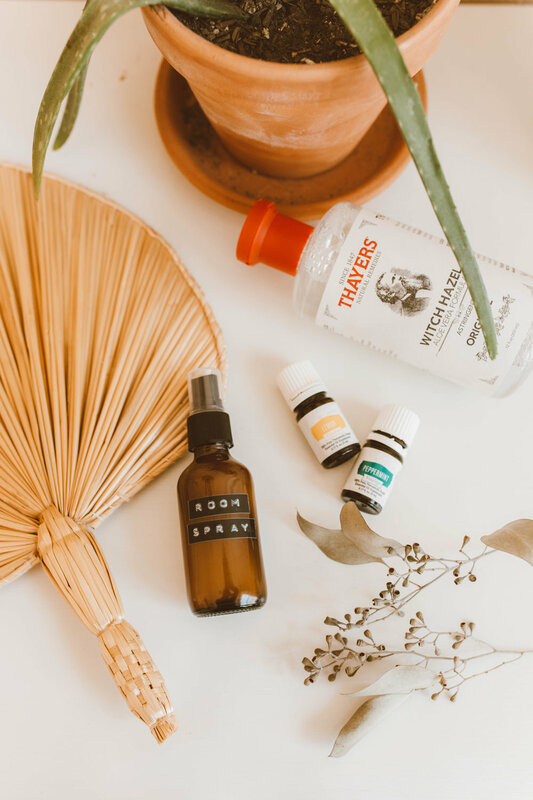 Fill a spray bottle 1/4 of the way with Witch Hazel, add 10-15 drops of your favorite smelling essential oil or a blend of your favorite oils (I chose Eucalyptus, Peppermint and Lemon) and fill the rest of the way with water! 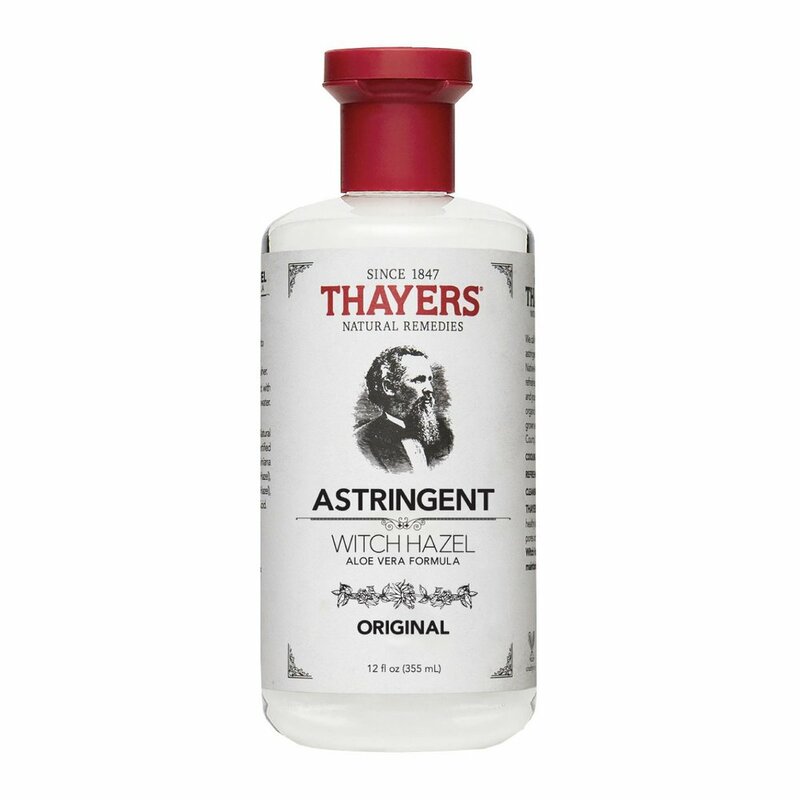 My favorite thing about this is how easy and accessible it is change the scent or re-fill when you’ve run out. You can also have your cute spray bottle on display instead of a not so cute, Frebreze bottle out for everyone to see. 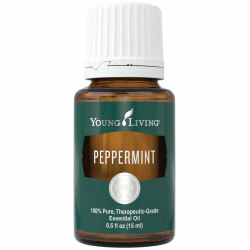 Spray in your bathroom, bedrooms, kitchen, and around your trashcan for a super fresh scent. 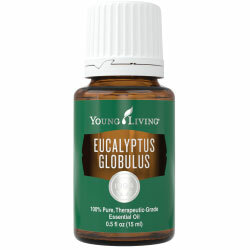 I also spray some on my bedroom sheets and living room blanket so they always smell delicious when they’re used! 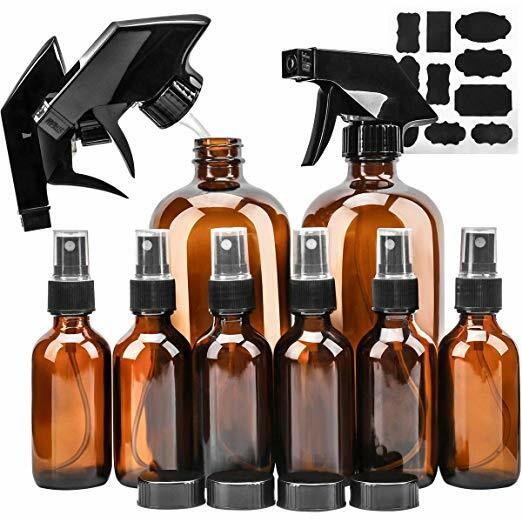 Have questions or want to tell me how your room spray came out?